Written and produced by Grind Disco and Faxi Nadu. Unauthorized duplication leads to global warming, support music. but like dust shall fade away. our songs will be forgotten. 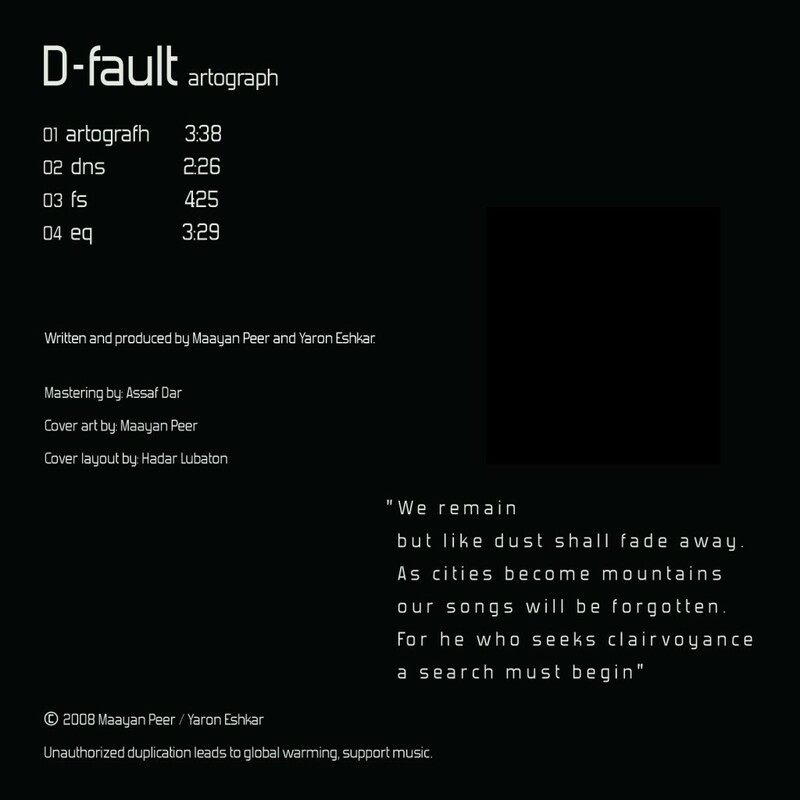 D-Fault is the collaboration Experimental/IDM project of Maayan Peer (aka Grind Disco / Black Mizi Pro Duck Sun) and Yaron Eshkar (aka Faxi Nadu / Elmooht), both hailing from Israel. The vast array of musical influences between the artists, and at times the clash between them, brings about an interesting collaboration, rich in flavor and content. 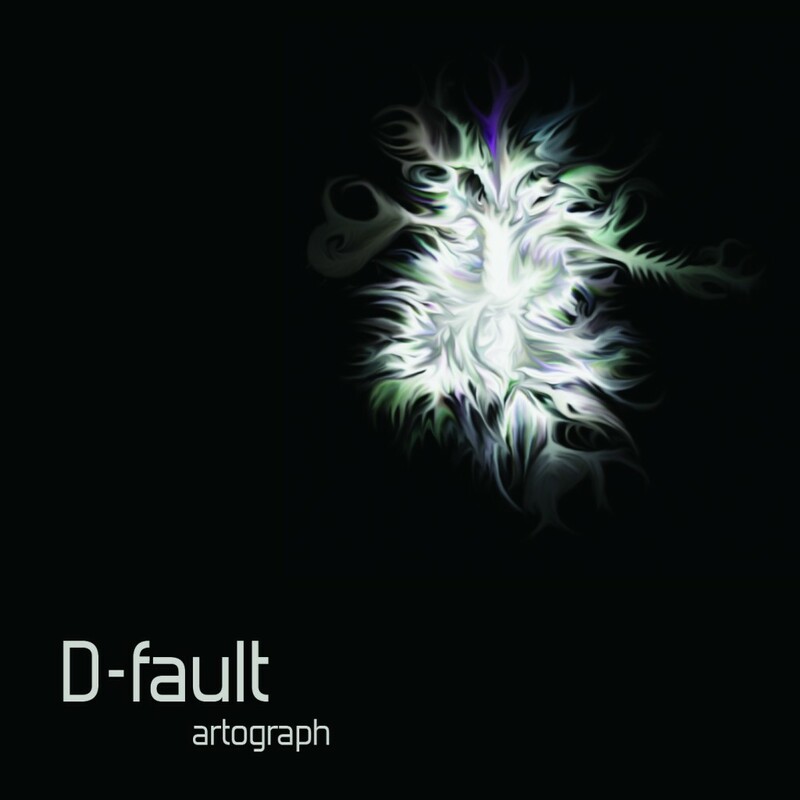 D-Fault packs in both the raw power and warmth of the analog world, with the clarity and precision of the digital DSP domain. Hi-tech broken grooves, chopped up melodies and sizzling digital effects, exploring the limits of creativity. Dark, psychedelic and disturbing, yet vaguely optimistic, giving D-Fault a fresh, yet nostalgic appeal.